Girlpool performs at Union Transfer this Saturday. Jurassic 5 are a throwback rap crew. The L.A. group are known for their commanding stage presence and globetrotting collaborations. With six members (and two DJs amongst them), a Jurassic 5 live show is the stuff of legend. This weekend, they’re joined by the bonafide Philly gangster rap hero Schoolly D for a night of nostalgic hip-hop. Train are the type of band you know a few songs from almost too well. Not many of us ever went out and actually bought a Train CD—I think they’d be in the adult contemporary section—but then again you didn’t have to with songs like “Drops of Jupiter” and “Hey Soul Sister” assaulting the airwaves. Their current tour, cheekily called “Play That Song,” riffs on this not-quite-one-hit-wonder-but-popular-for-a-few-of-their-songs status with accompaniment from O.A.R. and Natasha Bedingfield. Before he was beefing with Neil Degrasse Tyson over his own out-there theories, the ascendant weirdo pop rapper B.O.B. was on top of the world—which, by the way, he thinks is flat. But never mind the intellectual eccentricities, B.O.B. once seemed like an obvious star. He can sing and play guitar as well as he raps, and he’s already proven his chops as a hitmaker. (Remember, it was a B.O.B. track that helped Bruno Mars break out way back in 2010?) These days the Atlanta emcee is back on the mixtape circuit, finding himself all over again with new sounds and collaborators. 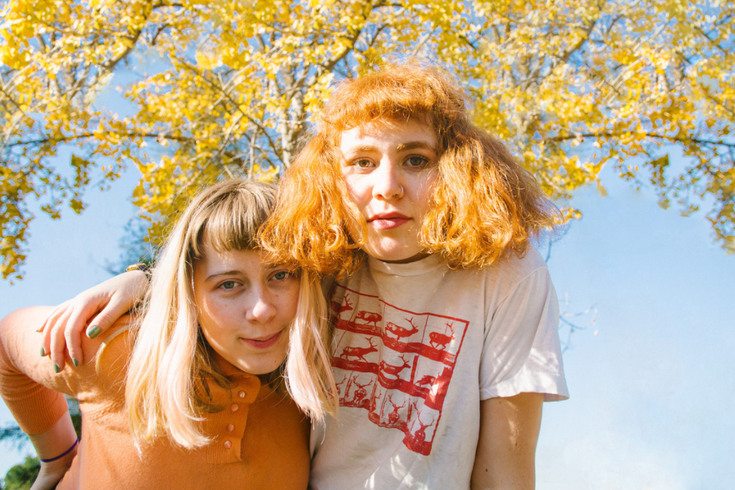 The Los Angeles-based indie duo Girlpool recently expanded their sound and membership with the addition of a drummer. But the added dynamic and slight lean away from sonic sparsity hasn’t stopped Cleo Tucker and Harmony Tividad from affective vulnerability. They continue to write perilously emotional tunes on their splendid new record “Powerplant,” there’s just a bit more noise to go along this time. A proud soundtracker of beach bum vibes and lazy mornings, Jack Johnson will croon to you about banana pancakes and lovely postcards. His lyricism can be a bit melodramatic, but the softness of his acoustic guitar style and breathy voice can turn what might scan as triteness elsewhere into endearing lullabies in his hands. Johnson’s is a soft toe-tapping style that never boils over, but that he never seems to be holding anything back is his truest gift. South London indie rockers Happyness have a good thing going. Their sound is both upbeat and dreamy, but can meander into weirder and more distorted territory as well. Lyrically, they are at turns wonky and self-serious, emo and then carefree. Their new album “Write In” reigns in some of their freakier tendencies to prove a simple point: Happyness churns out contemporary classic rock with the best of them.